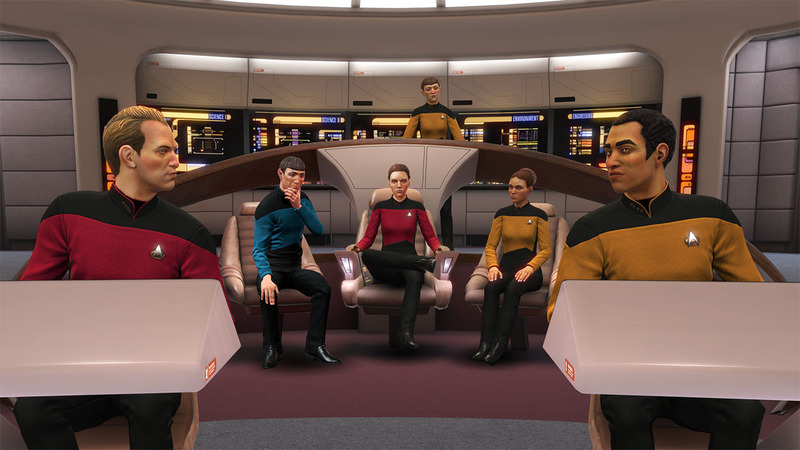 Today, Ubisoft announced that it will release Star Trek: Bridge Crew The Next Generation, a DLC expansion for Star Trek: Bridge Crew, on PlayStation 4 on May 22 and PC VR headsets on July 21. The expansion content features characters from Star Trek: The Next Generation and will retail at $14.99. Players can now continue their voyage in the Star Trek universe as they take the helm of the Galaxy Class starship U.S.S. Enterprise NCC-1701D from Star Trek: The Next Generation. The iconic bridge will allow players to test their combat skills against the stealthy, Romulan fleet and the villainous Borg in Ongoing Voyages mode. The Next Generation expansion enhances the Ongoing Missions mode and offers two additional mission types, Patrol and Resistance. Patrol mode gives players the opportunity to free-roam in space while experiencing random encounters and objectives for endless hours of adventure on board the U.S.S. Aegis, U.S.S. Enterprise NCC-1701 or the Enterprise-D. In Resistance mode, players will get the chance to face a fan-favorite villain – the unstoppable Borg. Players will evade a pursuing Borg Cube and will be tasked with completing a series of objectives before battling the Borg in a final showdown. Additionally, the Enterprise-D will introduce a new command role, Operations, which will focus on Crew Management. Operations will need to plan ahead and assign the correct NPC teams to each location on the ship, as each position is crucial to the success of the varied missions and to the safety of the crew. Check out Ron’s review of Star Trek: Bridge Crew, and stay tuned for more news here on Gaming Trend.